Beside high energy costs and poor comfort in winter the major reason for the renovation of the building were massive thermal comfort problems in summer. Non-functioning solar protection, lack of thermal mass and high internal loads often led to intolerably high temperatures. 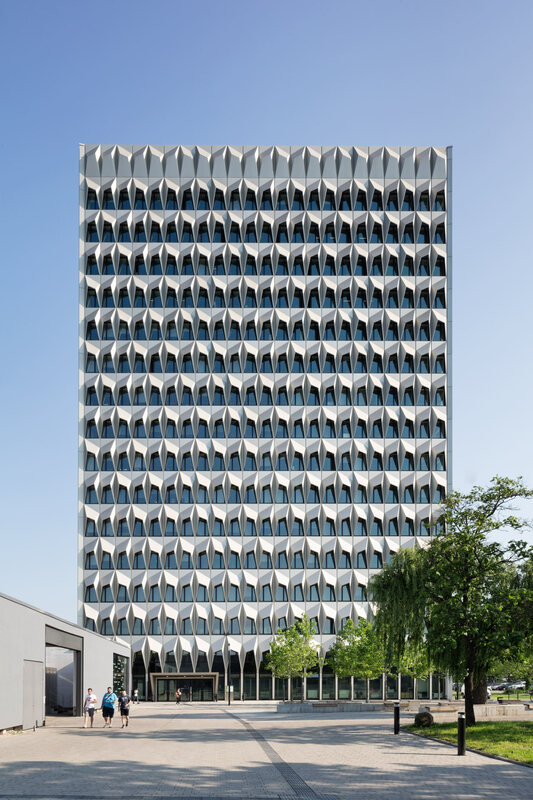 The renovation design includes a fixed sun shading device, the insulation of the façade and the replacement of the windows. The smaller offices accommodating one to two people can be ventilated naturally via operable windows and the open-plan offices, seminar and lecture-rooms are mechanically ventilated. To prove the effectiveness of the recommended approach simulations of different versions with different sun protection and ventilation concepts were carried out. 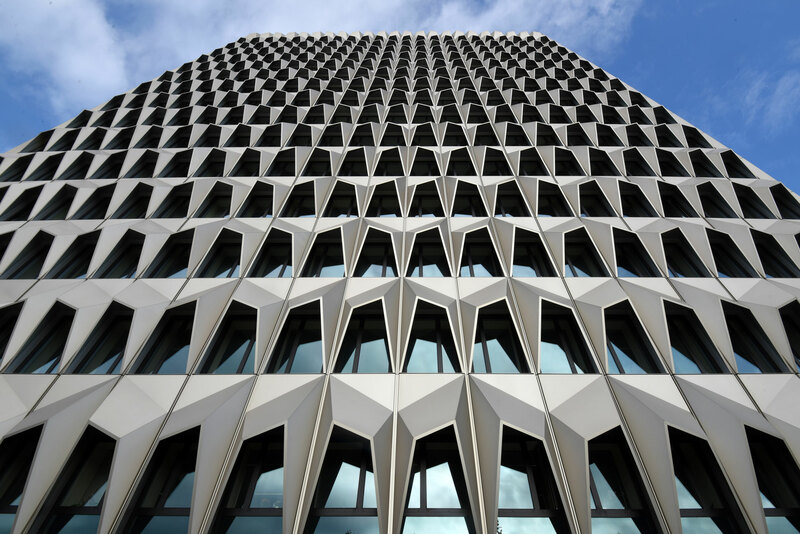 Staab Architects had won the competition with a façade design including stationary sun shades (Brise Soleil). For a high-rise building a solid exterior sun protection has the advantage that the shading is always functional even at high wind speeds. On the other hand, it lowers the daylight available in the room permanently, also on days with overcast skies and low lux-levels. 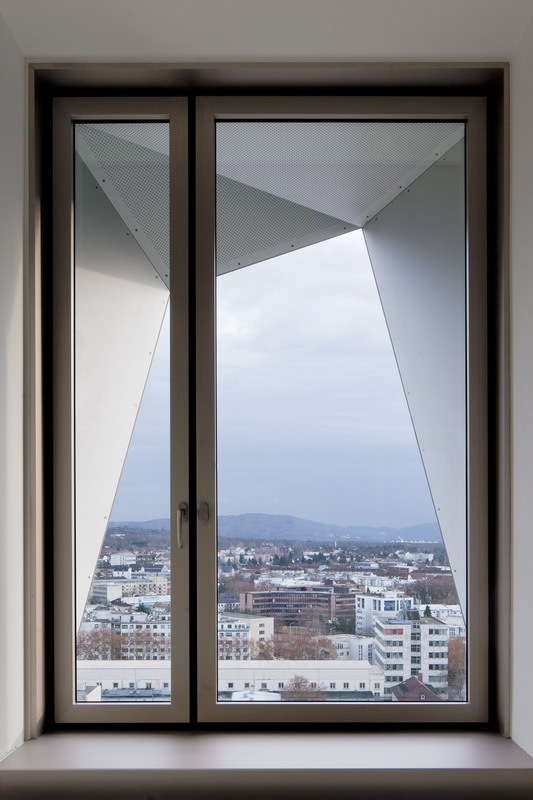 To find an optimal balance between sufficient sun protection and enough natural light on cloudy days combined daylight and thermal simulations were carried out. A total of 40 variants were modeled, simulated and analyzed. This was done in very close cooperation with the architects. The allocation of photovoltaic elements on the Brise Soleil was investigated and will not be realized for cost reasons. 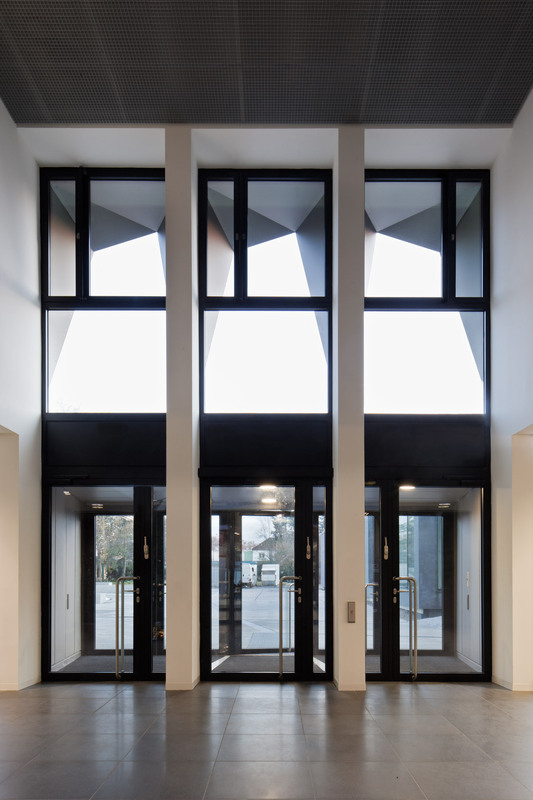 The pictures show the south façade of the building and radiance simulations of its impact on daylighting in the interior of the building.